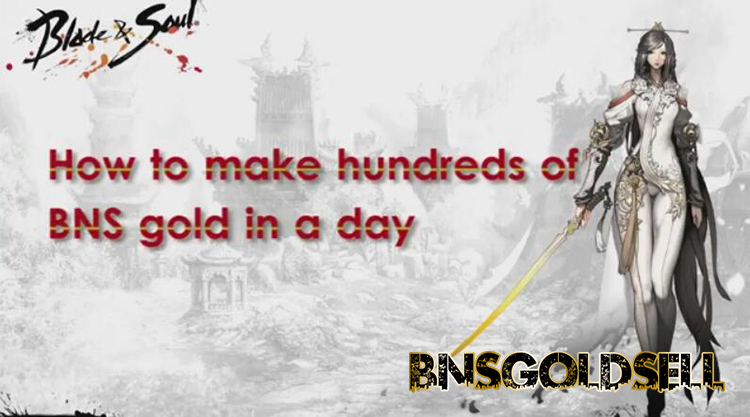 my experience about how to make hundreds of Blade and Soul gold in a day. I make this into a video to help you better understand and mark the important spot in pictures for your reference. Or if you just want to buy cheap Blade and Soul gold, BNSGoldSell is your best choice with lowest price and fastest delivery. The following ways are good but not always available. They happens during rare boss spawns and certain event times. During Ming Phase, you can complete 4 daily quests which can net you more than 40 Soulstones. Besides, you can get chance to get 15 Soulstones rewards as there is mob in that area dropping the Intel daily which can be easily completed within 28s. Heuk Bulmu is probably the best daily as it is not only easy but also it provides a sufficient amount of soulstones. Go to the enemy Soulstone Plains Base and kill the Faction leader which can drop a daily quest which can reward 33s + 20 Soulstones once completed. You can see announcements in faction chat all throughout the day of groups killing him on some populated servers. You wall climb up the tree located outside the base then glide in so that you can get into the base without getting instakilled by terrors. Baylee/Beetle Boss (5-10min) (1-3g) which can spawn in Beastbog and often be announced in faction chat. As the channel usually fills up fast, you have to be quick applying to parties. You can net 1.06g and a chest which has a mediocre to contain frozen stingers from this daily. If you are lucky enough, you can get a chest which is worthy of 5-10g materials from Beetle Boss. If you have extra time, you can complete other two dailies in the area for extra 1.2g. Grand Harvest occurs three times a day on channels 1-5 only. You can clock the clock icon by your mini map to check when event times. It is suggested grouping up in the correct channels 5 minutes before the event start. There are three dailies offered. One of these three is difficult as it requires you to kill the 3 mini bosses. The other two dailies can net you 1.55g once completed. If you can complete the mini boss daily, you can get an extra 71s with nearly 20K exp each. There are 3 dailies at Plog Sanctum. One of these is hard to complete as you need to kill the Golden Plog. You can kill the 3 mini bosses and 10 plogs to complete the other two, which can net you 1.2g.